The Conservatives' marathon vote protest in the Commons that ended just before 1 a.m. ET in Ottawa got an added boost from a Maclean's magazine interview with Jane Philpott, who said there's "much more to the story" of the SNC-Lavalin controversy. The Conservatives' marathon vote protest in the Commons ended in the wee hours this morning, but their cause got an added boost after Maclean's magazine ran an interview with Jane Philpott saying there's "much more to the story" when it comes to the SNC-Lavalin controversy. The Conservative Opposition triggered the voting marathon in Ottawa after the Liberal-dominated justice committee shut down further investigation into the SNC-Lavalin affair. For more than 30 hours, the House of Commons was engaged in round-the-clock voting that kept MPs close to their seats. The voting got underway around 6 p.m. ET Wednesday and continued until almost 1 a.m. ET Friday, with members voting line by line on the Liberal government's spending plans. Philpott's interview with Maclean's — her first substantial interview since resigning from cabinet earlier this month — set official Ottawa buzzing and is certain to dominate the SNC-Lavalin conversation. In the story, published Thursday morning, the Liberal MP said she had concerns about the government's handling of the SNC-Lavalin case before the controversy became public in January. She alleged Canadians have been prevented from hearing more about what went on in government circles due to efforts by the Prime Minister's Office to "shut down the story." "My sense is that Canadians would like to know the whole story," Philpott said. The Conservatives want the Liberal government to fully waive cabinet confidence restrictions and allow former justice minister and attorney general Jody Wilson-Raybould to return to committee to answer questions about her decision to resign from cabinet in February. Wilson-Raybould has alleged that officials in the Prime Minister's Office and elsewhere in government inappropriately pressured her to clear a remediation agreement for SNC-Lavalin — which would have allowed the company to avoid a criminal trial on bribery charges. In January, she was shuffled out of her cabinet post — a move she said was punishment for not following the PMO's marching orders. Conservative MP Pierre Poilievre raised the interview on a point of order, arguing Liberals MPs should reverse their decision to halt the justice committee's SNC-Lavalin inquiry. "As much as I agree with the motivation of my friends in the Conservative Party, this is a huge waste of public funds and resources," said Green Party Leader Elizabeth May, referring to the voting marathon. Now is normally the time when government MPs fan out across the country to sell their constituents on a new budget. But because each of these votes deals with fiscal matters, they're considered votes of confidence. Losing a confidence vote can trigger a general election. So Liberal MPs were generally sticking close to their desks — although Trudeau was able to sneak away to Mississauga, Ont., for an infrastructure announcement before returning to his seat. There was a moment of tension in the House Thursday afternoon when the opposition charged that dozens of Liberal MPs had entered the chamber after one of the questions to be voted on was still being read. 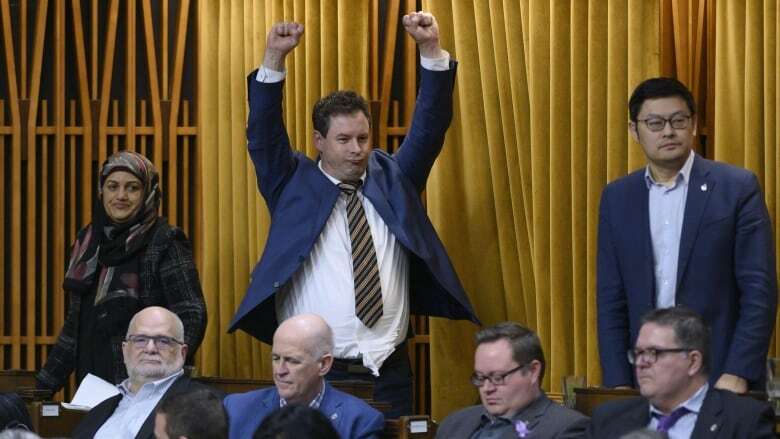 As deputy Speaker Anthony Rota was still reading the question, Liberal MP Kevin Lamoureux rose to complain that he could not hear it — a move that gave some Liberal MPs time to make it to their seats. Opposition members, sensing that they might have the government cornered on a confidence vote, told Rota that those Liberal MPs who entered the House late were ineligible to vote. After a prolonged and heated debate, Rota ruled that it was not up to him to monitor attendance and left it to the "honour" of individual MPs to decide whether they were eligible to vote when the question was read. Rota read the question a second time, the vote went ahead and the government survived (several Liberal MPs rescinded their votes afterwards). On Wednesday, the Conservatives put forward a motion calling on the government to have the Commons "take note" of Wilson-Raybould's comments about the SNC-Lavalin affair, and asking the prime minister to waive solicitor-client privilege to allow her to speak publicly about the January cabinet shuffle. That was voted down by the Liberal majority. Last week, upset with the government's handling of the SNC Lavalin affair, the Tories put forward 257 separate motions to oppose specific proposed funding allotments in the supplementary and interim estimates. 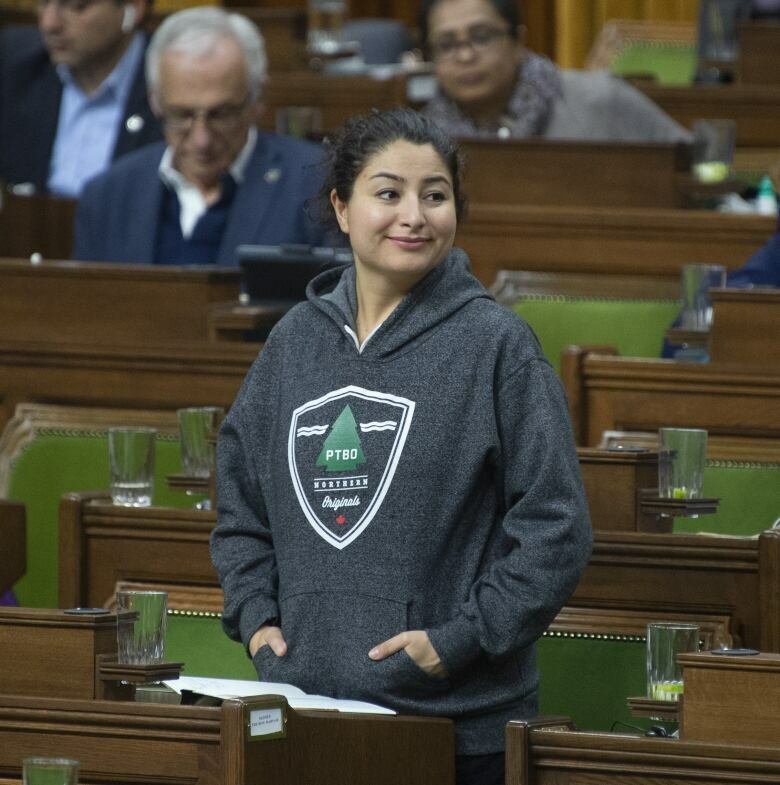 Cots were brought into the West Block to allow members to sleep in shifts and multiple MPs were called out for sneaking food and wearing sweatshirts in the House. Democratic Institutions Minister Karina Gould, who gave birth last year, took to her Instagram to document all the times she's had to leave the floor to pump breast milk. Since the voting was extended past 10 a.m., Thursday's agenda was preempted. Committee meetings scheduled for Thursday were cancelled.